The details regarding DSSSB Welfare Officer Admit Card 2019 are completely provided in this article. Members of Delhi Subordinate Services Selection Board (DSSSB) organization had not yet mentioned the examination date and also have not given the DSSSB Probation Officer Hall Ticket 2019 release date. It will be declared in the month of March/ April 2019. The Delhi SSSB Welfare Officer Hall Ticket can be downloaded only from the official website that is dsssbonline.nic.in. Have you applied for the DSSSB Probation Officer Recruitment? Then before attending to the examination, you must know the complete selection process of the DSSSB Recruitment. To fill the 204 Welfare Officer/ Probation Officer/ Prison Welfare Officer, Jr. Environmental Engineer, Scientific Assistant, Legal Assistant, Jr. Lab Assistant, Stenographer Gr.II, Lower Division Clerk DSSSB recruitment board had released a notification. Immediately after downloading the DSSSB Welfare Officer Admit Card the candidates must first verify that the data present in that Hall Ticket is correct or not. If not correct you must inform to the higher officials of the Delhi Subordinate Services Selection Board (DSSSB). Following are the details that will be present in the Delhi SSSB Welfare Officer Hall Ticket. Candidates who are ready to appear to the DSSSB Probation Officer Examination must remember that they have to carry their DSSSB PWO Admit Card 2019. And along with that DSSSB PWO Admit Card 2019, they should take any government identity proof among the following for security reasons. Are you ready to download the Delhi SSSB Welfare Officer Hall Ticket? Then go through the below provided steps to download your Hall Ticket. 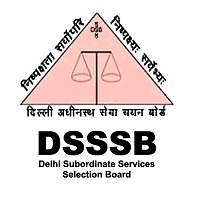 The candidates who had applied for the DSSSB Welfare Officer Recruitment 2019 with the correct information will only get the DSSSB PWO Admit Card 2019. Firstly, applied candidates are advised to visit the official site of the Delhi Subordinate Services Selection Board (DSSSB). The official website of DSSSB is dsssbonline.nic.in. On the screen, you will get the home page of DSSSB. Now in home page move to the Generate/ Print eAdmit Card section. In that section, select the category for which one you have to generate the Admit Card. After selecting a particular category, fill the details like Application No, Date of Birth and Security Code. Recheck the details and hit on the “click to Generate eAdmit Card” button. Then you will get the DSSSB Probation Officer Hall Ticket 2019 on the new page. Download that Delhi SSSB Welfare Officer Hall Ticket in the given format. Take two to three copies of the Admit Card and carry them along with you while appearing to the exam. We hope that all the information available in this article is helpful to the candidates who are ready to attend the DSSSB Welfare Officer Examination. We will update the exact date of the examination and release date of the Delhi SSSB Welfare Officer Hall Ticket on this page. So, stay tuned to our web portal fresehrsnow.com.